On the morning of Saturday, August 10, 2013, the 2 choirs got together at the Union Church of Manila, which graciously hosted the event. The 2 choirs participated in some vocal exercises (given by ACS Conductor Jonathan Velasco and by One Chamber Choir's conductor Ai Hooi Lim), sang a few songs for each other, and then joined forces in analyzing and singing Lotti's "Crucifixus." 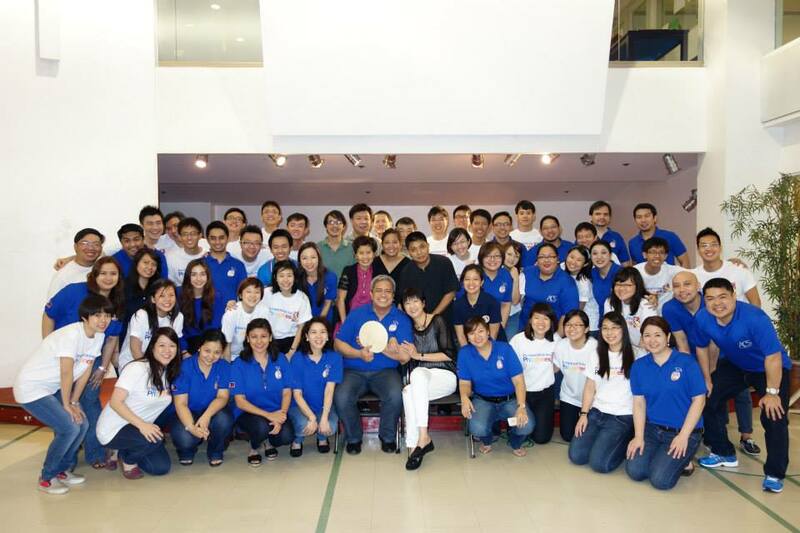 To give the Singaporeans a taste of Filipino food, Jollibee Chickenjoy was served as the 2 choirs exchanged stories, experiences and laughs before One Chamber Choir proceeded to the Cultural Center of the Philippines, where they were awarded that very evening. Congratulations, One Chamber Choir! We are honored to have met you and we hope to sing with you again in the future!